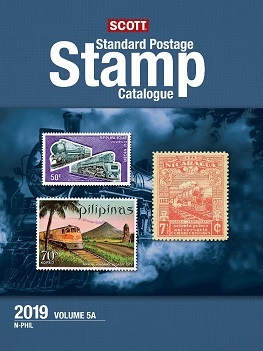 2019 Volume 5 N-SAM Countries [SC-C195] - $84.99 : Potomac Supplies, offering everything stamp collectors need! 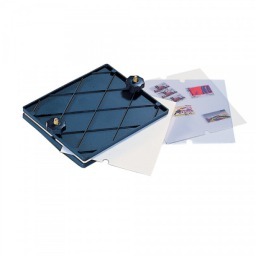 This year celebrates another milestone in the 150-year history of the Scott catalogs. 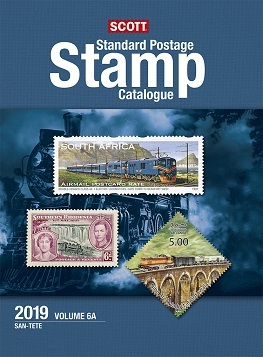 The 2019 volumes are the 175th edition of the Scott Standard Postage Stamp Catalogue. Vol. 5A includes listings for countries of the world N through the Philippines. Listings for countries of the world Pitcairn Islands through Samoa can be found in Vol. 5B. Poland: Single stamps for the 2009 Wladyslaw Hasior issue are Scott 3930A-3930D; these additions required renumbering the Hasior souvenir sheet from 3931 to 3930De. Scott 4146a is assigned to the 2014 Fish souvenir sheet of eight (Nos. 4139-4146) with four labels. Portugal: New overprint varieties have been added to the listings for the surcharged 1911 Vasco da Gama stamps (Scott 185-192 and 199-206). Minor numbers have been assigned for year dates among the Buildings definitive stamps of 1972-73 and 1974. Five inverted overprint errors of the 1910 postage due set enter the 2019 catalog as Scott J14a, J15a, and J17a-J19a.